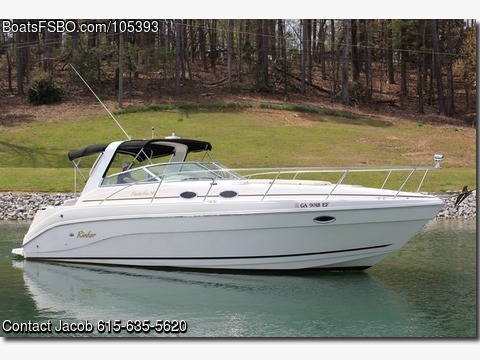 Contact the owner @ 615-635-5620 with any questions...Boat is slipped on Old Hickory Lake just outside downtown Nashville. Boat is in a covered slip and very well maintained. Boat is cleaned on a regular basis and all maintenance is preformed by a Mercury mechanic. I have had no issues at all with this boat. Boat is currently winterized, however is viewable by appointment. Boat is a fresh water boat. Selling to upgrade to larger boat. Boat comes with two canvas tops. One is a inclosed top and the other is more of a storage cover. All canvas is in perfect condition. All seating in and out look news.